Continental Insulation, based in Sudbury, Ontario, has over 25 years of experience in industrial, commercial and residential insulation and asbestos removal. Over the past 10 years, the company has continued along a path of expansion and diversification, entering the polyurethane spray foam insulation, fireproofing and metal siding markets. Since its start in 1985, Continental Insulation has continued to exceed the demands of customers by developing quality estimators, project managers, supervisors, and maintaining a pool of qualified craftsmen. We have consistently furnished our customers with quality work at competitive prices by proactively investigating new methods of project management and installation. From the smallest residential project to the largest industrial installation, we put safety first. Our workforce and supervisors are trained and experienced in WHMIS, fall protection, elevated work platforms, use of respirators and numerous other job-specific safety tools. Continental Insulation is one of the largest and most experienced insulation and asbestos contractors in Northern Ontario and is highly respected across the region. We will perform every job safely, on time and with the best possible workmanship. Guaranteed. These services are provided at many different levels and configurations. Count on efficiency and performance from Continental Insulation - regardless of your size or need. Industrial - Vale, Xstrata and Essar/Algoma Steel. We provide insulation and metal cladding on large industrial mechanical systems and vessels. 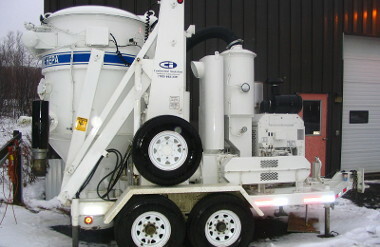 We also perform asbestos removal on these systems. Commercial/Institutional - Post Secondary institutions, School Boards, Hospitals, Retail and a wide range of private commercial clients. 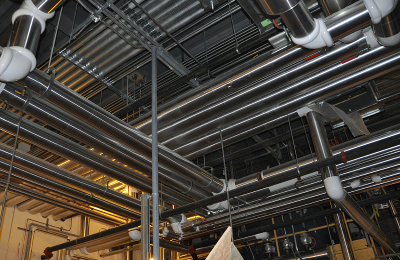 We recently completed the the mechanical insulation on the new Sault Ste Marie Hospital. 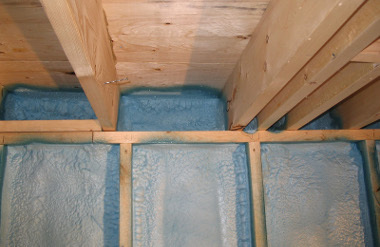 Residential - Since entering the spray foam insulation market in 1999, Continental Insulation has built a solid reputation in the residential spray foam market. 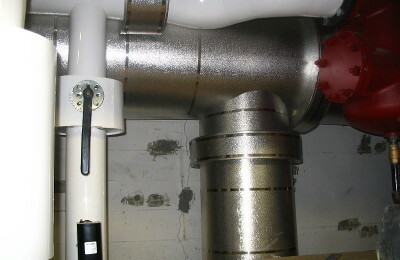 Residential asbestos remediation is also a significant activity.